A day that starts at Bouchon and ends at The Soho House is a good day. Throw in Bebe, L.K Bennett and my favorite LA fashion girls into the mix and it's automatically upgraded to fab status. 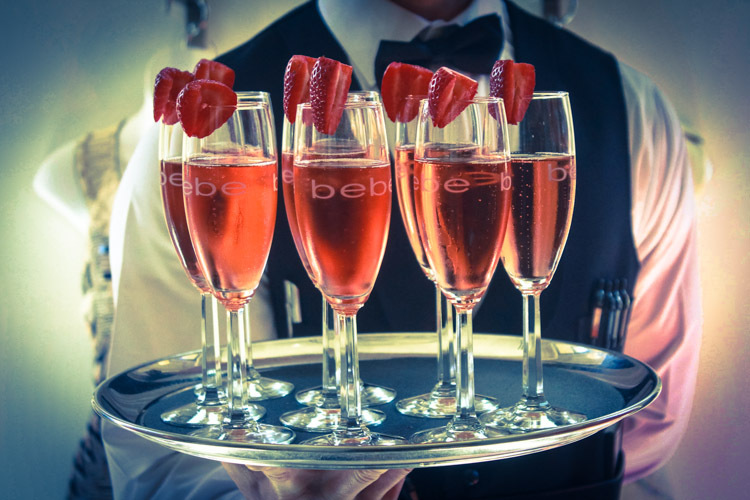 First stop was Beverly Hills for bebe's "Girls Who Lunch" event hosted by my lady friend Sydne. This was no ordinary lunch. 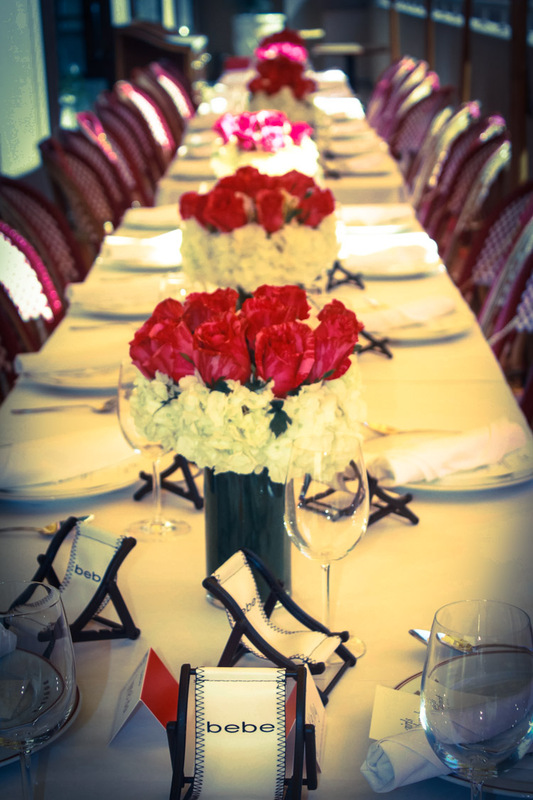 Not only did Bebe send each of us an item to style and wear to the lunch, we also got to preview the entire spring collection displayed front and center inside Bouchon. Lunch was beautiful. 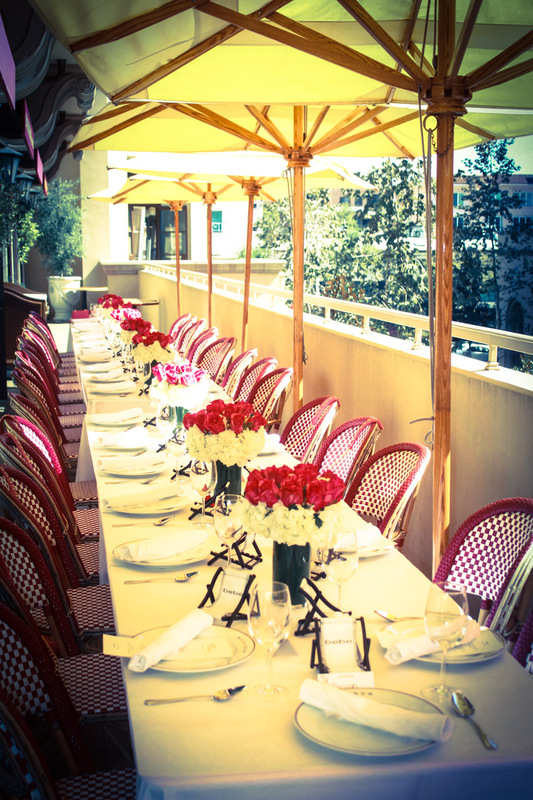 We gingerly sipped on champagne, dined on salad and salmon, tasted the divine desserts, and jumped from one girly convo to another all the while sitting underneath banana yellow umbrellas on the second floor patio. My affinity for Bouchon sweets is personal in nature. My friend's sister used to be a pastry chef at Bouchon New York (she now owns Sugarbloom and sells her pastries at Taza Arcadia on weekend). Once, we got to visit her at work and took a gigantic box of assorted sweets to munch on while strolling through Central Park. Indulging in Costco quantity Bouchon delicacies was truly heaven on Earth and perhaps the catalyst for my "one is never enough" Bouchon sweets policy. 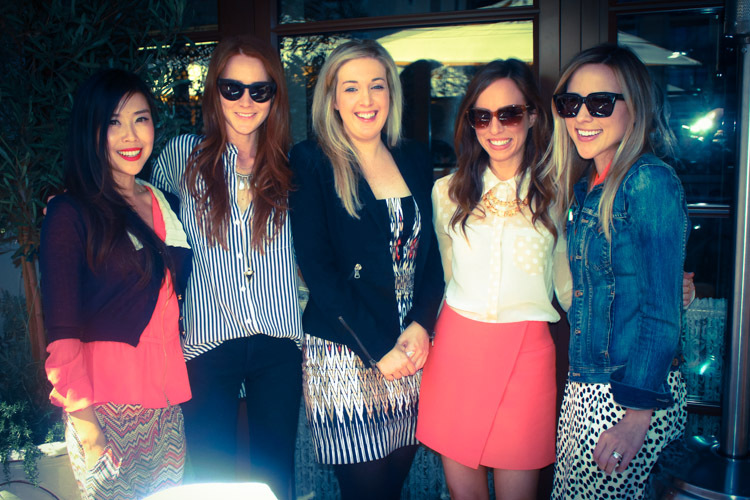 The lunch satiated a trifecta of my sweet spots-fashion, food, and friends. Needless to say, I had a fabulous time. 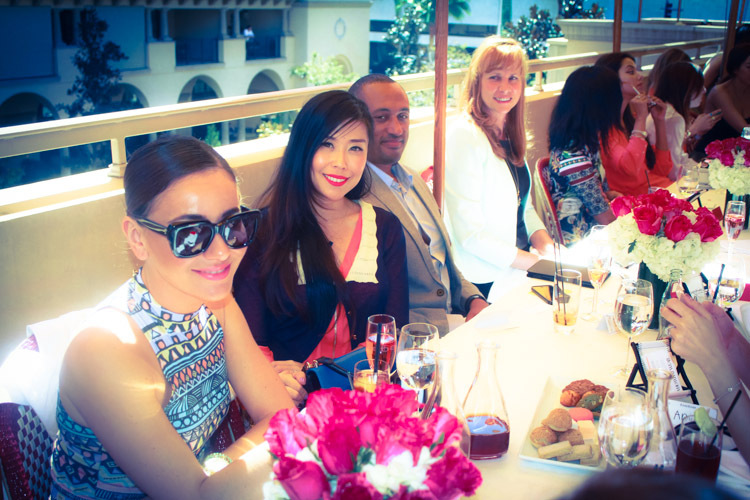 After lunch, I swung by The Soho House to properly welcome British luxury fashion brand L.K. 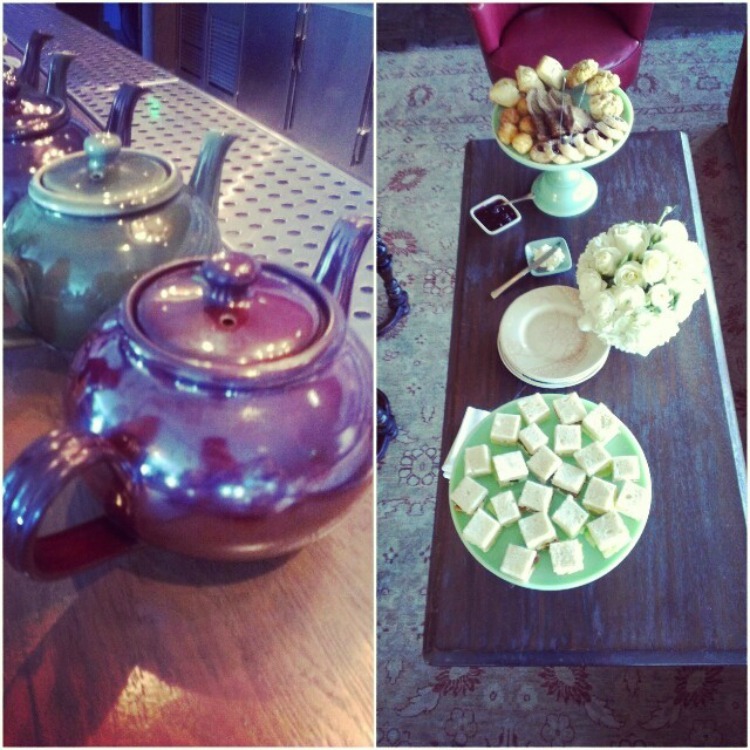 Bennett to LA with proper afternoon tea. The event was hosted by British socialite Rosamund Pike who channeled Grace Kelly in a white as snow frock accessorized with rose pink lips. I'm looking forward to stopping by their new store at The Beverly Center this week to peruse the feminine, colorful, and modern selection of apparel and footwear. Another fabulous day awaits! Wow the event is so beautifully set up! And I love your outfit. whoa that looks like such a fun event! 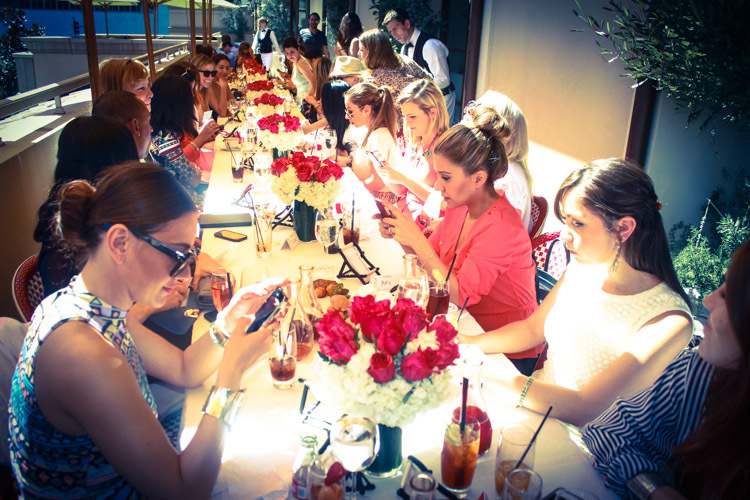 The picture of the full table with everyone on their phones slays me just a little! ;D The event looks beautiful, and by the sound of it, you had an amazing experience! look like a lovely event! So great!!!! I love it!! Lovely pictures! You look gorgeous and I love the outfit especially the pants. This looks like an amazing day! Love the outfit and these gorgeous pictures. So glad you had a nice afternoon! Wahoou it's beautiful, you are lucky ! wow such a fab event and everything is pretty. Lucky you ! Thank you for visiting my blog and for the sweet thoughts. 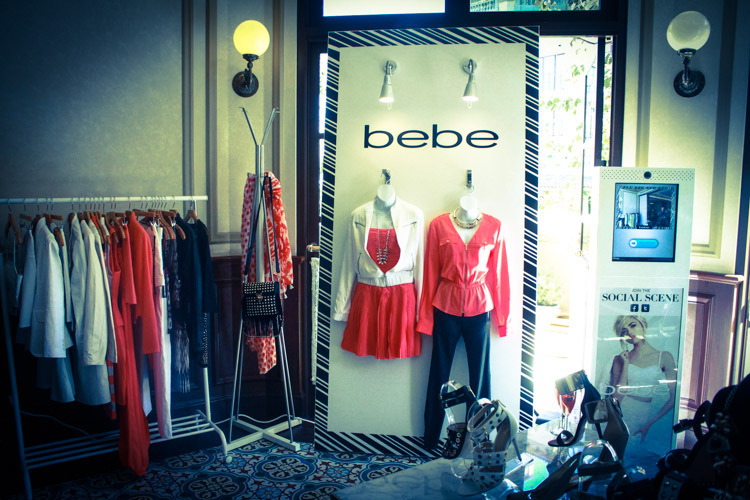 I used to be a stylist for Bebe so I love seeing them crop up around the blogging world lately! Gorgeous event, it looks like you had a blast. Loving those patterned pants as well! Wow all these events look so fun and make LA look so inviting. That lunch looked so fab! Wish I was there. Your photographer did a great job. Following on Bloglovin. Seems like you had a great time with your friends and by the way the striped pants looking good on you. Wooowww...everything in this post looks Outstanding..the lady inthe picture looks cute and charming..her style and her dressing was classy..